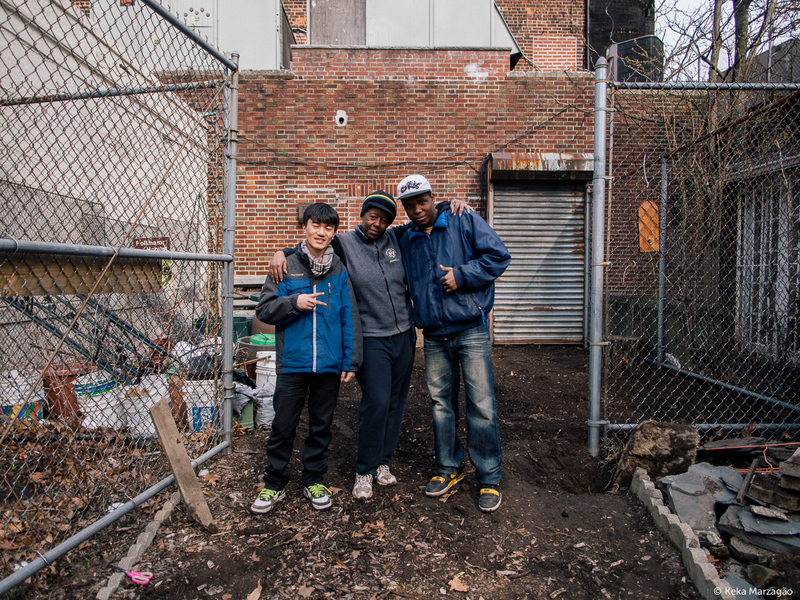 In 2013 Sustainable Flatbush is taking our community garden to a whole new level: we’re converting our 340 sq. ft. container vegetable garden plot into a culinary and medicinal Healing Herb Garden! This project is the brainchild of Urban Farm & Garden Program Director Sheryll Durrant, who has been building her agricultural skills at Kingsborough Community College’s Urban Farm and at Wyckoff Farmhouse. Sheryll has also been accepted into this year’s Just Food‘s Farm School NYC, and will soon be a certified Master Composter. The Healing Herb Garden is already shaping up to be an incubator for growing knowledge and community. Construction of the garden begins in April 2013, and we expect completion by May. We’ve hired a local carpenter to direct the construction project, working with our high school interns and community volunteers. Clean up of the plot has begun in preparation for the start date, and we are happy to announce that Build It Green NYC has already committed 750 linear feet of reclaimed lumber to our project! In addition to growing herbs, we will create two native pollinator garden beds at the garden entrance, to attract bees and other beneficial insects. Our goal this year is to cultivate up to 30 varieties of herbs, and use our garden as an outdoor classroom where community members, especially youth, can learn about sustainable agricultural techniques and water conservation practices in an urban setting, and about the nutritional and medicinal benefits of the herbs that they have helped to grow. One of the exciting developments this year is our partnerships with local businesses, schools, and organizations. Apprentices from Sacred Vibes Apothecary, a local medicinal herb dispensary, will join us this summer to conduct six free workshops for the community on the uses and benefits of herbs as both food and medicine. We will provide internship opportunities for high school and college students, and open the garden to classroom visits and service learning opportunities throughout the year. Two Brooklyn high schools have already signed on: International High School @ Prospect Heights, and Academy of Hospitality and Tourism High School @ Erasmus Hall. There will also be more opportunities to volunteer, and all our volunteers will be able to participate in our “Herb of the Week” program, where they share in the week’s harvest! Finally, we will continue to provide fresh produce from our garden to Bread for the Journey, the Flatbush Reformed Church’s emergency food program, that provides a hot lunch every Wednesday and Saturday as part of their mission to serve our community. This program not only serves the most needy in our neighborhood, but is open to all regardless of economic circumstances, and has become a way to build community across social barriers.